As stock market investing becomes increasingly hard to squeeze profits from, savvy investors are finding commodities to be the perfect vehicle for maintaining portfolio performance. Commodities for Every Portfolio shows commodities newcomers how to ease into this straightforward market, which strategies are best (and which to steer clear of!) and much, much more. Investors and traders get easy-to-follow techniques, strategies, and methods, with individual chapters showing how to invest in commodities through stocks, mutual funds, ETFs, and futures. High-performing companies and index-based funds are listed by name, with specific information on how and why they succeed; hard-to-find informational resources are also provided. Emanuel Balarie is President and Chief Investment Officer of Jabez Capital Management. Previously, he was senior market strategist at Wisdom Financial, Inc., and editor of Wisdom Commodity Weekly. Mr. Balarie's industry experience ranges from commodity stocks to futures to alternative investments. He is a highly regarded advisor to clients and institutions on the commodity markets, and has had his research published all over the world. In addition to being a regular guest on CNBC, Mr. Balarie is frequently quoted in dozens of financial publications such as, the Wall Street Journal, Reuters, Marketwatch from Dow Jones, and Barron's. Mr. Balarie is a graduate of UC Berkeley. For more information on Emanuel Balarie, please visit www.commoditynewscenter.com or e-mail him at ebalarie@commoditynewscenter.com. Part One. Understanding the Commodity Markets. Chapter 1. The Long-Term Commodity Boom: Why it's Here and Why It's Going To Last. Chapter 2. From the Farmer to You: How the Futures Markets Work. Chapter 3. Debunking Commodity Myths: Why Commodities Belong in Your Portfolio. Part Two. Participating in the Commodity Markets. Chapter 4. Deciding What Is Right for You: Futures, Stocks, Mutual Funds, and Exchange-Traded Funds. Chapter 5. Participating Through Futures. Chapter 6. Participating Through Stocks. Chapter 7. Participating Through Mutual Funds. Chapter 8. Participating Through Exchange-Traded Funds. Part Three. Strategies to Profit from the Commodity Markets. Chapter 9. Commodity Trading Strategies. Chapter 10. A Managed Approach: Managed Futures. Chapter 11. The Case for Gold in Your Portfolio. Chapter 12. Leveraging Third-Party Assistance. "With compelling arguments and pertinent observations, this book will not only tell you why you should own commodities but also how to best own them. 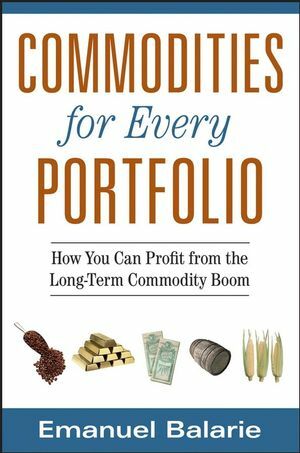 Commodities for Every Portfolio is an excellent, very compelling, and easy-to-grasp guide to commodities and commodity-related investments. This book is a must-read for your wealth protection!" "Read this book if you want to learn how to best benefit from the current surge in commodity prices. Emanuel's information-packed road map and easy read provides a blueprint for everyone who is interested in profiting from the commodity boom. I am reminded of Jesse Livermore's famous saying in that he made most of his money getting in on a trend and then sitting on his hands. Emanuel is handing us the trending markets on a silver (or gold or copper) platter. The rest is up to us." "The commodity boom is just getting started and the next ten years offer the most lucrative opportunities for investors who are willing to learn and have a top notch teacher like Emanuel Balarie. 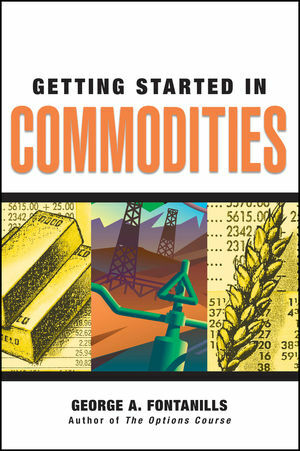 In this book you get not only a wealth of information on commodities but the knowledge of how to actually put that knowledge into action that will lead to big profits. No big words, no fancy explanations, just real-world examples and hard-hitting strategies that are key for every investor interested in entering the world of commodities trading. I highly recommend this book." "Commodities have been the hottest sector of the new millennium. Every investor who has considered diversifying into this explosive sector needs to read Emanuel Balarie's book."